LANCASTER/PALMDALE – Do you have any expired or unused prescriptions, over-the-counter medications, syringes, or other controlled substances? Tomorrow, as part of the “Safe Drug Drop Off” program, you can safely and anonymously get rid of those items. From 10 a.m. to 2 p.m., Saturday, October 29, residents can drop off their expired, unused, and unwanted pills at the Lancaster and Palmdale Sheriff’s Stations, free of charge, no questions asked. The one-day event is part of a nationwide effort to make it convenient for the public to rid their homes of potentially dangerous prescription drugs, and prevent drug abuse and theft. The practice of flushing medicines down the drain can have an adverse impact on aquatic wildlife. Wastewater treatment plants are not able to test or treat for pharmaceuticals. Therefore, the drugs end up in our rivers, streams, lakes, groundwater systems and oceans. Additionally, saving unused or expired medications can lead to improper and illegal use if they fall into the wrong hands. Children and others may access these medications from medicine cabinets and either use them inappropriately, sell them, or give to others for illegal and unintended uses. 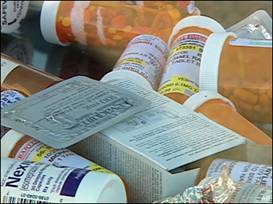 Please join the nationwide effort to ‘Safely Take-Back and Drop-Off’ your unused prescription drugs Saturday to your local participating sheriff’s or police station. 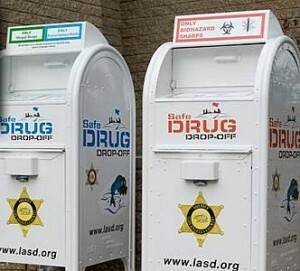 While Saturday is the special nationwide effort for “Safe Drug Drop Off,” the LASD says residents can anonymously drop off medications, seven days a week, 24-hours a day at dozens of sheriff’s stations, including the Palmdale and Lancaster stations. For more information, contact 323-267-4800.